While in Kelm, Rabbi Povarsky studied under the famed Mashgiach Rabbi Yerucham Levovitz and accompanied him on all his various trips. Rabbi Povarsky would memorize all the talks he heard from his great teacher. (Rabbi Povarsky would later tell about the Nazi murder of the Kelm Jewish population. This was the only place where the yeshiva students were separated from the rest and killed as a group. The group included the Alter's daughter, Nechoma Leiba, who was a great and righteous woman who would study mussar intensly on her own. Rabbi Povarsky later named his great-granddaughter after her.) When Rabbi Levovitz was invited to serve as Mashgiach in the renown Mir Yeshiva, Rabbi Povarsky followed him. In the Mir yeshiva Rabbi Povarsky was the roommate of the young scholar Rabbi Yechiel Michel Feinstein, who would later marry the daughter of the Brisker Rav, Rabbi Yitzchok Zev Soloveichik and eventually settle in Bnei Brak and go on to become one of the generations greatest Gaonim. Rabbi Dovid Povarsky married Tzipporah, the daughter of Rabbi Dovid Dov Kreiser. Rabbi Kreiser was a tenth generation descendent of Rabbi Dovid ben Shmuel Halevy, author of the Taz. As a young married man Rabbi Kreiser had been the Rabbi of the city of Greiver, and then later moved to Slutsk to teach in the Yeshiva headed by Rabbi Isser Zalman Meltzer and his son-in-law Rabbi Aaron Kotler. After the First World War and the Communist revolution, the Yeshiva moved to Kletsk and Rabbi Dovid Dov became one of the Roshei Yeshiva. In 1930 the Yeshiva found itself in dire financial straits and Rabbi Kreiser undertook the arduous task of traveling to the United States to raise funds and save the Yeshiva from ruin. Rabbi Kreiser stayed in New York for over a year at the home of Reb Yaakov Yosef Herman. He was preparing to wrap up his trip and return to Kletsk to attend the marriage of his daughter to Rabbi Dovid Povarsky when he caught a bad cold which developed into pneumonia. In spite of the devoted care he received his condition worsened and he passed away in New York on the 16th of Teves 1931. After Rabbi Dovid Povarsky's marriage he moved to Kovno where he joined the Kolel headed by Rabbi Elchanan Wasserman. For a brief period, upon the advice of Rabbi Yeruchim Levovitz, Rabbi Povarsky became a teacher in the Yeshiva Chachmei Lublin founded by Rabbi Meir Shapiro. In 1941 Rabbi Povarsky took his wife and three children and travelled to Israel where he was soon appointed as the Rosh Yeshiva of the Lubavitch Yeshiva Tomchei Temimim in Tel Aviv. He was later invited by Rabbi Yosef Shloma Kahaneman (1886-1969) to join the Ponevezh yeshiva as Rosh Yeshiva together with Rabbi Shmuel Rozovsky (1913-1979). All his life, Rabbi Povarsky kept up a rigorous study schedule, arriving every single morning to the Beis Hamedrash at 4 A.M., weekdays, holidays, and offdays while in good health or failing. He educated thousands of students and regarded each and every one as a son. He was very humble and could find time to speak words of Torah with boys 80 years his junior. His contemporaries referred to him as â€œa living Mesilas Yesharim and Chovos Halevavos". 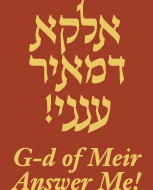 Many volumes of his Torah and Musar lectures were published under the titles: Yeshuas Dovid, Shiurei Reb Dovid, and Yishmeru Da'as. Rabbi Dovid Povarsky was an passionate supporter of Rabbi Meir Baal Haneis Salant charity and is a signatory on its behalf, together with his colleagues, the Torah giants, Rabbi Shloma Zalman Auerbach, Rabbi Yaakov Yisroel Kanievsky The "Steipler", Rabbi Yaakov Kamenetsky, Rabbi Elazar Simcha Wasserman, Rabbi Moshe Shmuel Shapiro, Rabbi Yechiel Michel Feinstein, and many others. Rabbi Dovid Povarsky passed away on February 21, 1999. May the memory of this great sage be a blessing to all of Klal Yisroel.